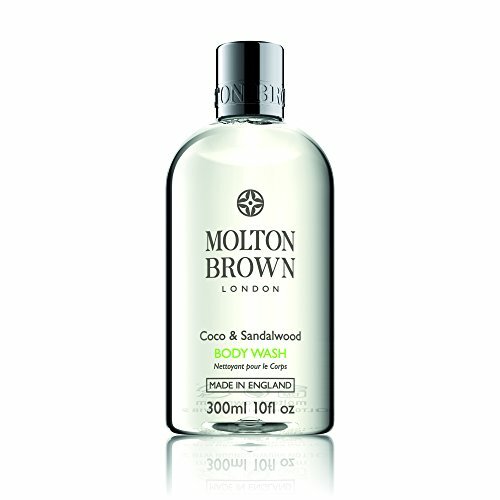 Molton Brown Coco and Sandalwood Body Wash, 10 oz. A luxurious body wash blended with the comforting aromas of creamy coconut fruit, jasmine and sandalwood. The notes Top note: coconut. Heart note: jasmine. Base note: sandalwood. Extract: coconut fruit. View More In Body Washes. If you have any questions about this product by Molton Brown, contact us by completing and submitting the form below. If you are looking for a specif part number, please include it with your message. Molton Brown Eucalyptus Body Wash, 10 oz.